Minster School pupil Tom Byrne was one of the ten winners of the University of Sheffield French Translation Competition 2018. 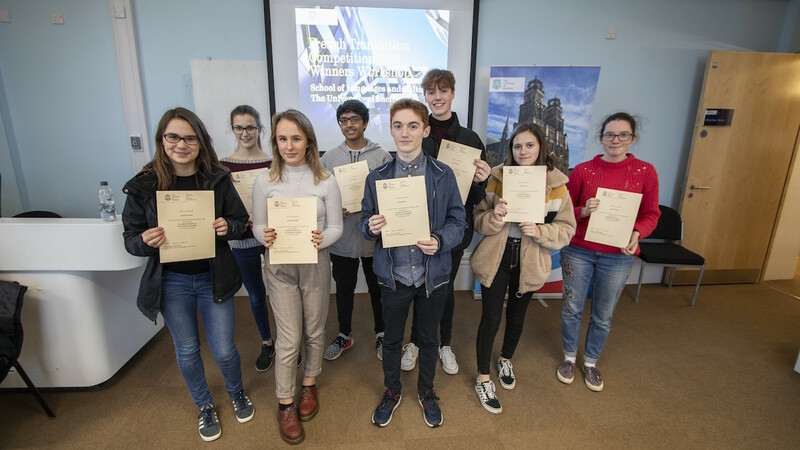 The competition was open to students of French in Years 12 and 13 in the UK, who were invited to submit their translation of a short piece of French text. The authors of the ten best entries each received a prize of a £25 book token and an invitation to take part in a special Translation Workshop held at the University of Sheffield involving French academics, Masters students in Translation Studies and alumni who work in translation-related fields. Photo © Edward Poole, University of Sheffield.